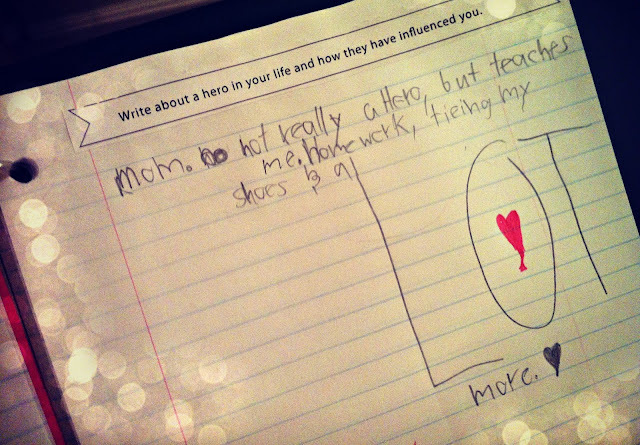 my daughter's journal prompt the other day was "write about a hero in your life and how they have been influential to you." 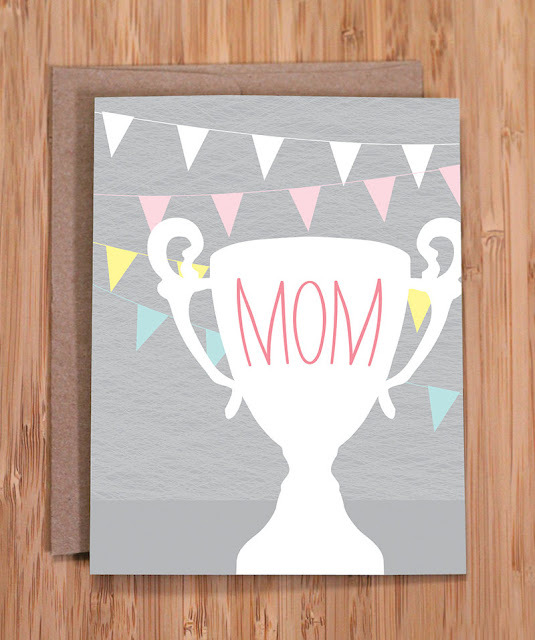 "Mom. Not really a hero, but teaches me. Homework, tieing my shoes & a LOT more." 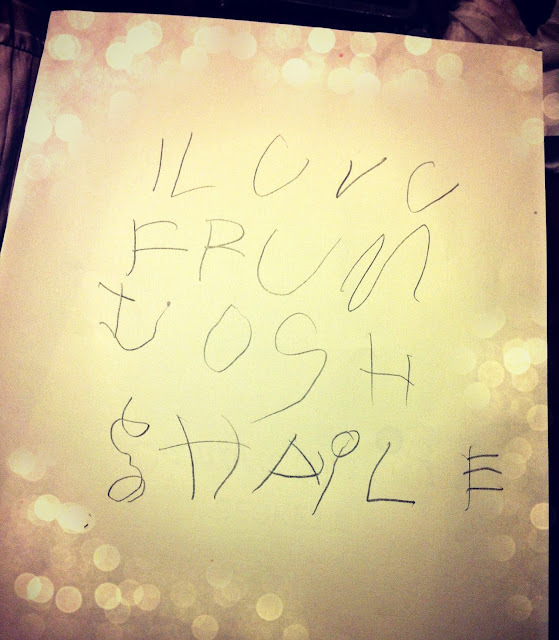 "I Lov U Frum Josh & Haile"
again, mush. my heart melted right there in my chest. my sweet 4-year-old's phonetically written words, completely unprompted, and thoughtfully, secretly, placed right by Mommy's bed... utterly precious. this is what it's all about. this is why we celebrate with our families this weekend. 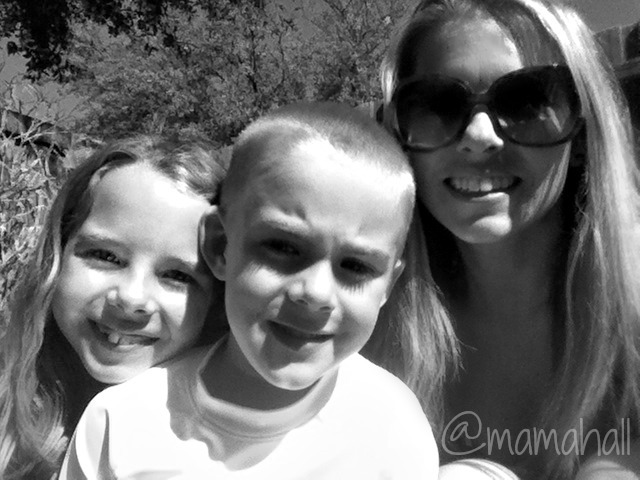 because you have these utterly precious moments, too. and so did your Mom, and her Mom, and her Mom. so maybe i'm not really a hero. but i am a Mom. and i think that's pretty awesome.